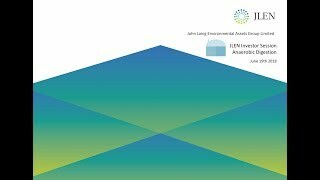 Explore the latest equity research for companies within the Trusts, ETFs & Funds sector. Funds in this sector provide investment opportunities via equity and non-equity investment trusts, as well as exchange-traded funds. The UK legal service sector looks intrinsically attractive to investors, with its inherent high added-value, resilient growth through all but the very worst of economic times and fragmented nature. Five companies representing about 1% of the huge UK legal sector are all we have seen so far on the UK stock market and this is clearly going to grow, as listed law firms drive home their advantages and expand. Their UK domestic focus has brought share prices under pressure which looks wrong given the outlook, offering a good buying opportunity. We take this opportunity to initiate coverage of Gateley (Corporate) which has achieved great success since IPO but paradoxically trades at an anomalous discount to its peers. F&C Investment Trust (FCIT) is the world’s oldest investment trust. The 150-year-old behemoth is on course for its 48th consecutive year of dividend increases having paid a dividend every year since launch. Income is not the main focus for the manager, however, and it is positioned to deliver long-term growth in capital via an internationally-diversified portfolio. The portfolio is constructed with inputs from both BMO’s specialist teams and third-party managers and this includes investments in both listed and unlisted securities. The manager, Paul Niven, believes this combination of public and private companies is a key feature of the trust, which help reduce risk and limit the volatility of investment returns. The trust is well diversified across geographies and sectors and the board has not placed any specific geographic or industry sector exposure limits for the publicly listed equities. The largest geographical weighting is to North America (53.3%), followed by Europe ex UK (17.1%) and emerging markets (11%). In terms of listed equity sector exposure, financials make up close to a quarter of the exposure and consumer services (18.2%) and technology (18.1%) also make up considerable portions of the portfolio. Since taking over the trust in 2014, Paul has delivered decent NAV returns, outperforming the benchmark FTSE All World (69.4%) by c.6% and the IA Global sector (55.1%). That said, the trust has underperformed the Morningstar Global closed end peer group by 3%. Over the past two years the trust has seen the discount narrow considerably, to a point where the trust is currently trading on a slight premium (0.2%). Since the start of the year the discount/ premium has ranged between -5.7% and 1.4% and the oneyear average has been -1.6%, marginally narrower than the sector average of -2.5%. Completion of the FIM acquisition is a milestone achievement. It accelerates profitability and delivers scale, taking AUM to well over the all-important £1bn mark. Canadian General Investments (CGI) aims to generate an attractive total return from a portfolio of primarily Canadian equities. Manager Greg Eckel describes the fund as a ‘one-stop-shop’ for investment in Canada. He says that the country is currently out of favour with investors, and equity valuations are reasonable, which may provide an attractive opportunity. While he invests for the long term, Eckel actively manages CGI’s portfolio, seeking to buy companies with attractive fundamentals and long-term growth potential, while adding to or trimming existing positions to maximise returns. This strategy has proved effective, with CGI outperforming its S&P/TSX Composite index benchmark over one, three, five and 10 years. It also offers an attractive dividend yield of 3.5%. The star fund manager culture and its effect on open-ended fund industry has been the subject of debate for many years, frequently making headlines when a high profile manager leaves for pastures new. To try and address the problems associated with key man risk, many fund management groups have pushed the ‘team-based’ approach more in recent years in an effort to soften the blow if a lead manager does change fund management houses The idea being if a manager does depart, investors won’t feel the need to sell out of a fund because they know the team taking over will run it in a similar way. Given their structure of being closed-ended, investment trusts have traditionally been shielded by the effects of key-man risk. However a recent example of a high profile departure at River & Mercantile shows they are not immune. Rather than being swamped with outflows, the River & Mercantile UK Micro Cap Trust saw is share price fall 14.6% and its discount to net asset value (NAV) move from 16.2% premium to a 0.6% as investors hit the panic button after the announcement its lead manager, Philip Rodrigs, had left the group. For Nick Greenwood, manager of the Miton Global Opportunities trust, the large drops the trust has faced since Rodrigs’ departure, represent the risks that investment trusts with key managers can face when those managers leave. “If you have a key manager following, the price that the trusts trades at can be very different to its peers, meaning that if the manager leaves, the price can quickly fall either back into line or below the peer group,” he says. In its 2018 rebalancing of its model portfolio, Winterflood replaced the R&M UK Micro Cap Trust with the JP Morgan-managed Mercantile Investment Trust in the UK equities section of its portfolio for its mid and small cap exposure. Trading at a 9% discount at the time, it felt the Mercantile Investment Trust, which is managed by Guy Anderson, represented a better value opportunity (versus the premium the R&M UK Micro Cap was trading at the time). However after the events that unfolded since Rodrig’s departure, Simon Elliott, a research analyst at Winterflood Investment Trust, says the micro cap fund does offer value versus its nearest peers. He also believes there is a large opportunity in the micro cap segment of the UK market for a genuinely active manager to add considerable value through stock picking. “The fund’s assets of £102m are nearly only 10% below where the board has deemed it appropriate in the past to return capital at NAV,” he says. “It is feasible that the portfolio could generate sufficient growth within the next 12 months to warrant a third return of capital and we would expect this to act as a catalyst in narrowing the discount.” At the same time, while many in the past may have invested in the fund because of the previous manager, its new manager, George Ensor, knows the trust having been involved with its running since launch in December 2014. “As a key member of River and Mercantile’s equity team, Ensor has gained the respect of the team’s leadership and we were impressed with his knowledge of the stocks in the portfolio at a recent meeting,” says Elliott. “Whether this will translate into strong returns, both absolute and relative, will only be proven in time. “However he has a head start given his current knowledge of the portfolio and this is an important, high profile mandate for River and Mercantile, not least as its only listed collective to date.” Meanwhile Greenwood, who never held the fund, says things can work in the opposite way. Namely a badly performing trust can see its discount narrow if it gets taken over by new management. A most recent example of this would be the Aurora Investment Trust. Having been a serial underperformer in the IT UK All Companies sector, since Phoenix Asset Management took over the trust in January 2016 it has undergone a complete transformation under new manager Gary Channon. As such it has moved from a 17% discount in April to 2015 to currently trading at parity, with the trust ranked second article over one and three years. So the movements in discounts can work for and against investment trusts when a high profile manager departs. However what they are not subject to is large outflows thanks to their closed-ended structure meaning any incoming manager does not have to deal with a firesale of assets on day one. In the case of the R&M UK Micro Cap Trust, it would seem after all the negative headlines, many are realising the strength of the team that lay behind the key man and at its current 11.9% discount to NAV could be sensing a buying opportunity. Today, we introduce our investment trust ratings. According to the quantitative screens we have selected in an attempt to highlight the best performers in the closed-ended universe, the trusts discussed here have been the best in their classes over the last five years. We have selected trusts using two different sets of criteria, aiming to identify the top performers for capital growth and for achieving a high and growing income. There are many rating systems for open-ended funds, but no quantitative-based system for investment trusts that is available to the average investor. While we cannot identify trusts which will perform well in the future – past outperformance is no guide to future out-performance – we hope these ratings will highlight the outstanding performers in the closed-ended universe and those managers who have best used the advantages of investment trusts to generate alpha. We are trying to reward consistent and long-term outperformance, and so we have decided to look over a five-year period. All data is as of the end of December 2018, sourced from Morningstar and JPMorgan Cazenove. We have looked at NAV total return performance and discount value has not been considered: the aim is to identify those trusts which have performed the best rather than highlight bargains. 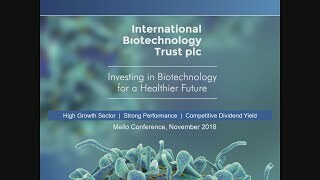 The Biotech Growth Trust (BIOG) is managed by Geoff Hsu and Richard Klemm at OrbiMed Capital, one of the leading global healthcare asset managers. The year 2018 proved to be tough for the trust’s performance as biotech companies delivering negative news were heavily penalised, while those delivering good news went unrewarded. However, the managers are optimistic about BIOG’s prospects. They cite a rich industry innovation pipeline that includes a series of technologies with multi-billion-dollar revenue potential; a favourable regulatory environment; and a higher level of deal activity, including major pharma company Bristol-Myers Squibb’s recent bid for Celgene (one of BIOG’s largest holdings) at a significant premium to its pre-bid share price. 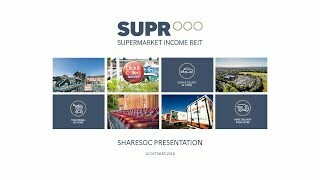 Supermarket Income REIT targets an attractive level of income, with the potential for capital growth, and 7–10% pa total shareholder return over the medium term. It invests in a diversified portfolio of supermarket property, let to leading UK supermarket operators on long, RPI-linked leases. EPRA NAV total return in the six-month period was 3.1% or an annualised 6.3% (see our last update). The company plans to raise c £25m in new equity to part fund additional, identified assets. Standard Life UK Smaller Companies (SLS) is managed by experienced UK smaller-cap specialist Harry Nimmo. He is somewhat cautious on the near-term outlook for UK equities, citing ongoing Brexit uncertainty, lower US earnings growth and the US/China trade dispute. The manager continues to follow his tried-and-tested investment process, seeking high-quality firms that can grow their businesses regardless of the stage of the economic cycle. He notes that SLS’s portfolio companies are generally trading well, showing good earnings momentum and beating expectations, which he expects will lead to higher dividend payments. The trust currently offers a yield of 1.6%. Jupiter Emerging & Frontier Income (JEFI) has outperformed its peer group average since launch. In 2018, JEFI’s exposure to smaller and medium-sized companies and frontier markets acted as a drag on performance, relative to the MSCI Emerging Markets Index.